Slip on these Gray Fingerless Paws by elope and you'll be on your way to a good time! 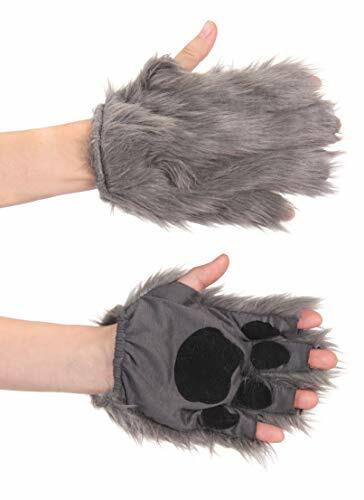 Be a big bad wolf or the leader of the pack when you wear these comfortable and breathable fingerless paws by elope. Give friends a wave and you'll show off the paw pad detailing on the palms.